PennsylvAsia: Chinese movie The Devotion of Suspect X (嫌疑人X的献身) in Pittsburgh, from March 31. Chinese movie The Devotion of Suspect X (嫌疑人X的献身) in Pittsburgh, from March 31. 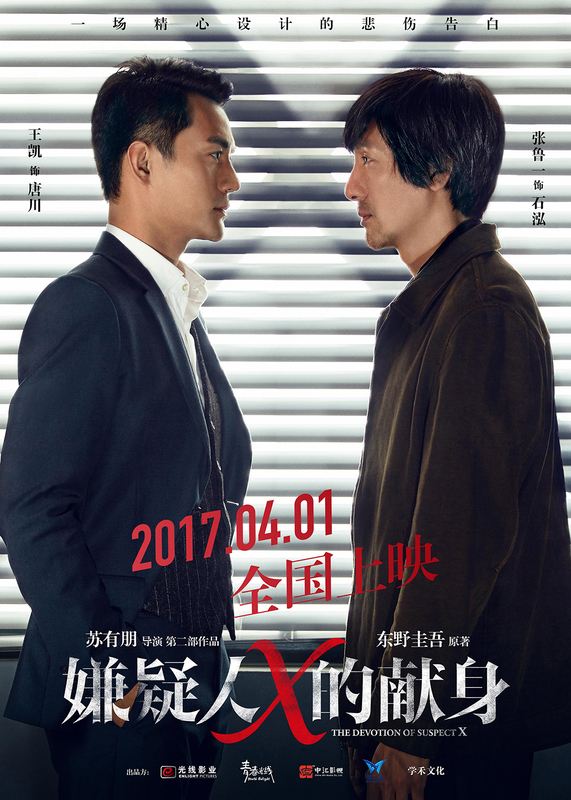 Based on Keigo Higashinoas award-winning novel, THE DEVOTION OF SUSPECT X follows a professor (Wang Kai) assisting in a murder investigation, only to find that a longtime rival and friend (Zhang Luyi) from his early university days may be involved. Tickets are available from the AMC website. The theater is located at 300 West Waterfront Dr. in the Waterfront shopping complex in Homestead (map), across the Monongahela River from Greenfield, Squirrel Hill, and the rest of Pittsburgh.